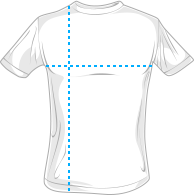 On the front of this black t-shirt, Jesus is benching the cross on is back that says "The Sins Of The World." 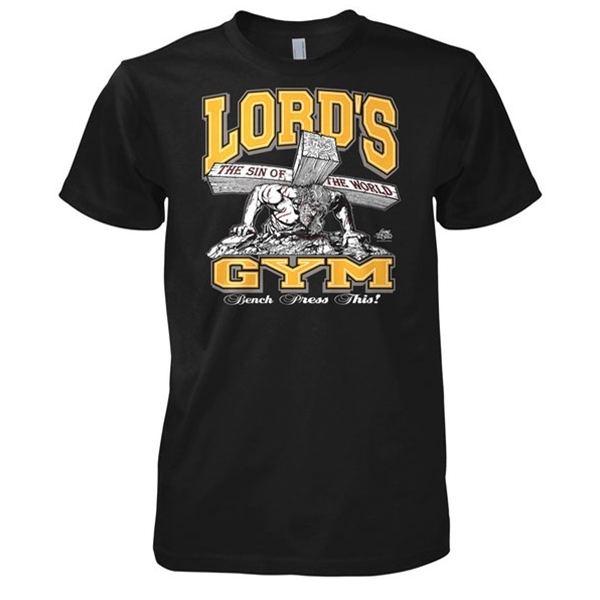 The front of this shirt also features the phrases "Lord's Gym" and "Bench Press This!" 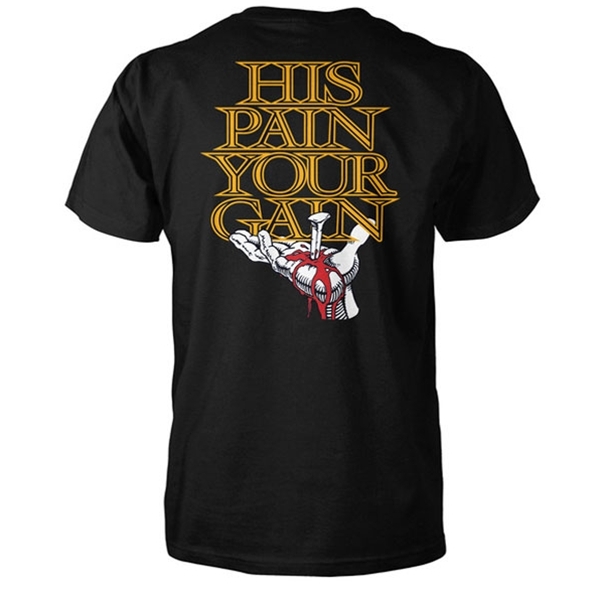 The back of this shirt reads "His Pain Is Your Gain" with Jesus's hand pierced with a nail.